More engaging than traditional ads, content provides you with the opportunity to connect with an audience in a more personal way, delivering better prospects to your customer funnel. Content also encourages consumer engagement and lasts forever, producing exponential reach and long-term SEO value. Content can be created from an idea, utilizing creative re-packaging of pre-existing messaging, or re-purposed directly from your sources and distributed using PhillyVoice.com's powerful media brand and distribution channels. WHERE CAN WE PLACE YOUR CONTENT? Small and large companies, from all industries, continue to utilize content development and targeted, efficient distribution strategies to drive sales and strengthen relationships with consumers. Contact us today to see how we can help you create, distribute, and measure the positive effects of your content marketing strategy. Generate more awareness, increase ticket sales and drive attendance to your events and shows. With packages available to fit any size budget, we can help drive awareness and conversions. 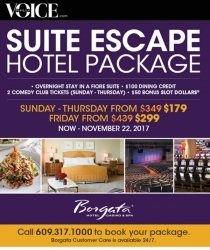 WHERE CAN WE PROMOTE YOUR EVENT? Contact us today to promote your events or shows.  PhillyVoice works with brands to create original video content designed for broad or specific audiences. 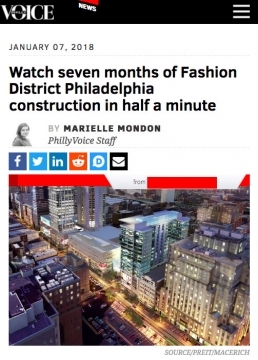 Videos can be placed within articles on PhillyVoice.com, posted separately to social media through the PhillyVoice brand and/or your own and delivered wherever you need to reach the right audience with a powerful message. 1. Consumer video consumption continues to grow. - 1/3 of online activity is spent watching videos. - 92% of mobile video viewers share videos with friends. - Marketers who use video grow revenue 49% faster than non-video users. 2. Video content produced by PhillyVoice can be used in your own emails, blogs, internal social posts, websites, YouTube channels, and throughout our connected TV partners, delivering more usage and ROI. Video can be created using high resolution photographs that allow you to tell your story in a new way. Custom designs, graphics and on-location video can be developed with our solutions team. 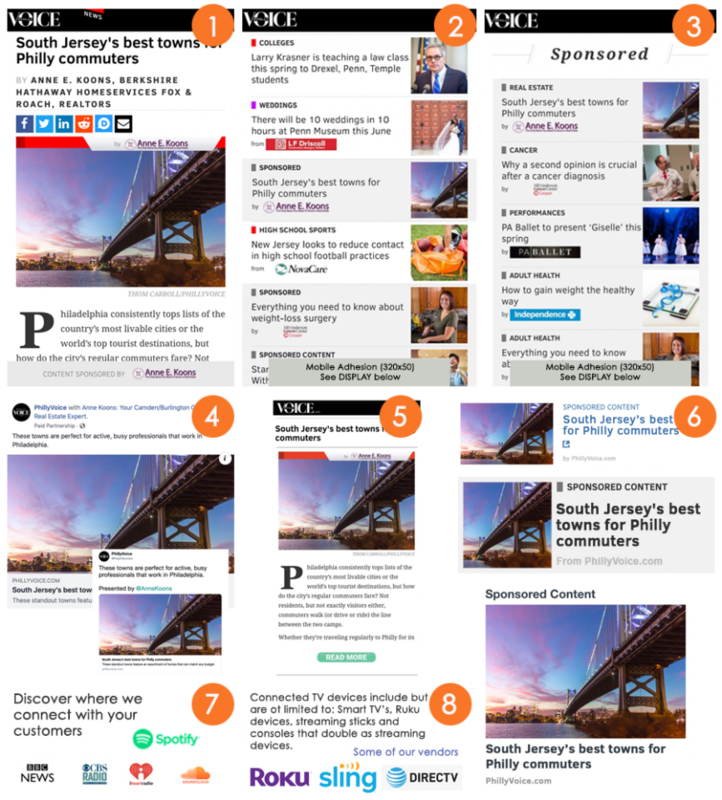 Video can be incorporated into articles, social media posts, search campaigns, display and anywhere videos are viewed utilizing the PhillyVoice brand and your own. 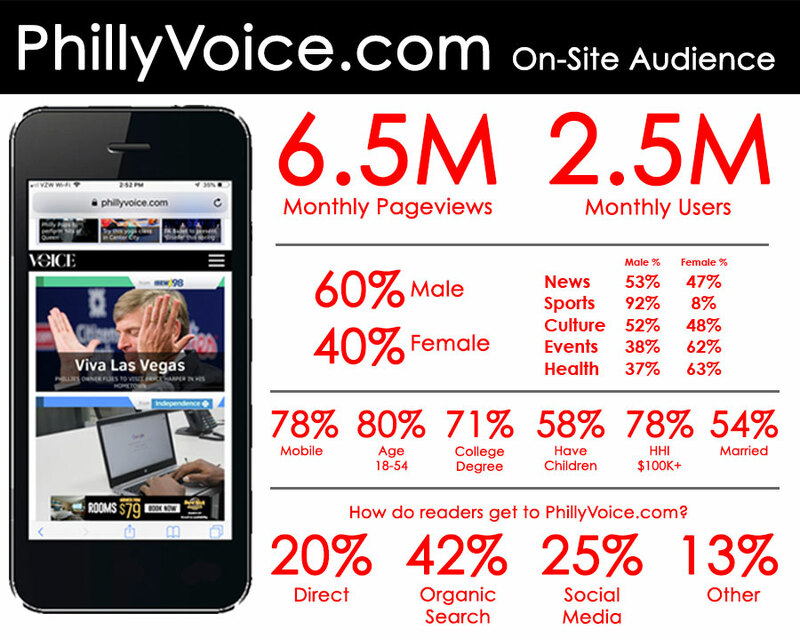 Leverage the power of big data and PhillyVoice’s media brand to reach your audience with a powerful email message. 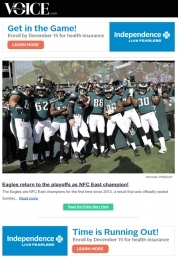 With more than 2.5M email address targets to choose from, PhillyVoice creates customized email campaigns that target audiences based on their geographic, demographic and psychographic profile. Delivery mediums can include any of the above methods. Each campaign is different and no two are alike. 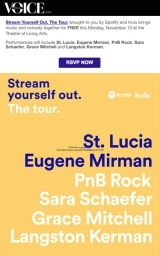 Minimum audience targeting size: 30,000. Contact us today to see how we can help with your email + multi-channel campaigns. Get access to our more than 2.5M targets with optional device and Postal ID targeting. See how PhillyVoice can help manage your email campaigns to improve performance, provide analytics support and deliver better results. 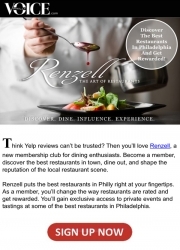 Deliver campaigns from PhillyVoice.com or your own brand to acquire more customers and sales. Today's consumer engages with brands across many channels on multiple devices on a daily basis. Requiring more than one touchpoint prior to purchase, it's essential to optimize your campaign across all channels. By amplifying your message on all of your customer's favorite platforms, your campaign is 37% more likely to increase lift and engagement than with email alone. In addition to on-site video placement, PhillyVoice can serve your video content on Connected TV (CTV). You can target CTV audiences to reach TV viewers at the household level. Target by geography, age, income, interests, and more. To learn more about pricing and CTV advertising for your business, please connect with us today. Serve display on PhillyVoice.com, through one of our premium network partners or with placement on any local site to reach the right audience. Sponsor entire sections or simply choose specific keywords that align with the interests of your audience. 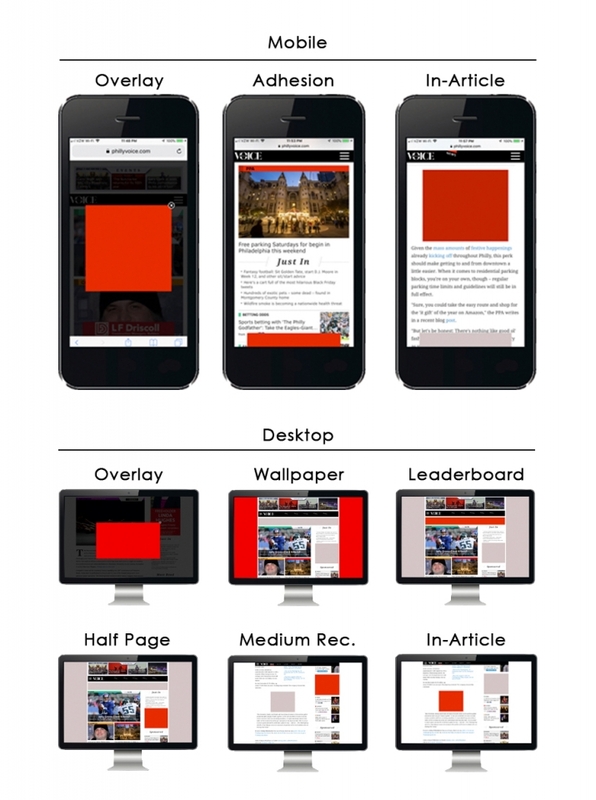 Your brand appears on all devices in the active window, delivering high-frequency on unique users with every page. PhillyVoice's Solutions Team can help drive and support your marketing needs by operating in the very space we also compete in.